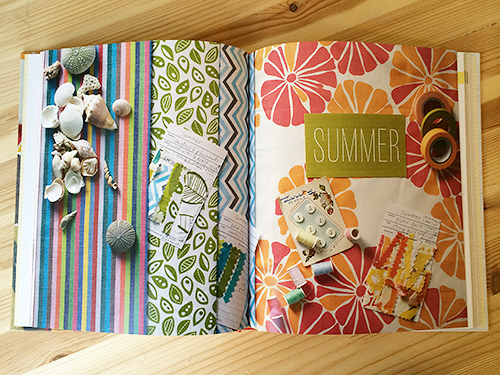 Last week I received a copy of the latest book by crafter Susan Beal, Sewing for All Seasons. I first "met" (online) Susan when she participated in the Kokka Layer Cake Swap that I hosted last winter. Funny story...when Susan joined the swap I must have been kind of spaced out and didn't realize she was the author of one of the most beautiful quilting books in my library, Modern Log Cabin Quilting. I remember sitting at my computer printing out tons of shipping labels, and seeing her name. Susan Beal. In my head I'm thinking "wait a minute. THE Susan Beal??" I ran over to her book and it clicked and I felt like such a dork (and completely star struck that she was in the swap!) A few days later, I was lucky enough to meet her in real life at Quilt Con. She is just the sweetest, most talented person! Susan's latest book is simply beautiful. First off, it's hardcover, which I think just feels really nice and solid in my hands. The photography alone is inspiring. The book is separated into sections by season, although really you could sew any of these at anytime. The projects are all things I would make, especially as gifts. Lots of ideas that would be great for a handmade holiday - Apron, tea cozy, scarf, nesting baskets, tote bag, sun glass holder and more. 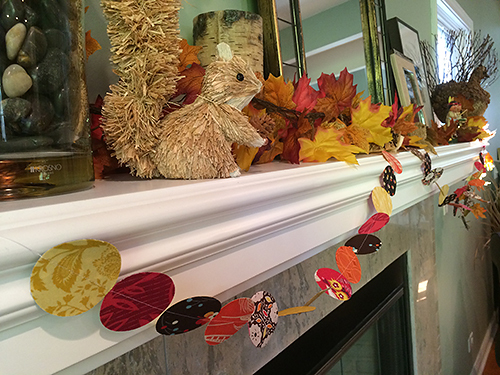 I decided I needed to make the garland for my mantel. 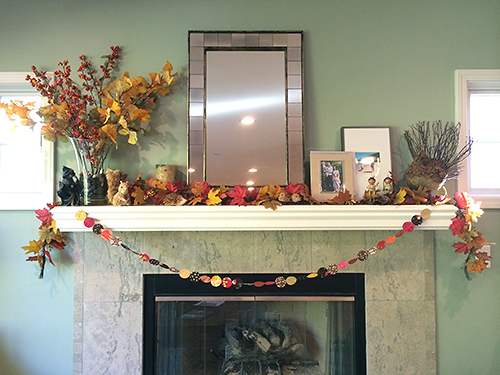 (My husband installed a mantel for me after last Christmas and I love decorating it! The garland was simple to make. I used my Sizzix die cutter for the circles but you don't need one to be successful - there's templates in the back of the book. How cute is this? I am going to make more for Fall and have layers of them hanging up. And then more for Christmas too. Don't you think this would also look adorable in a baby nursery? If you happen to be in NYC, Susan is going to be at Brooklyn Craft Company this Saturday making garlands with people who stop to visit and craft. How fun is that? If you are not lucky enough to be there, you can find a link to this project on the Chronicle Books website for free. 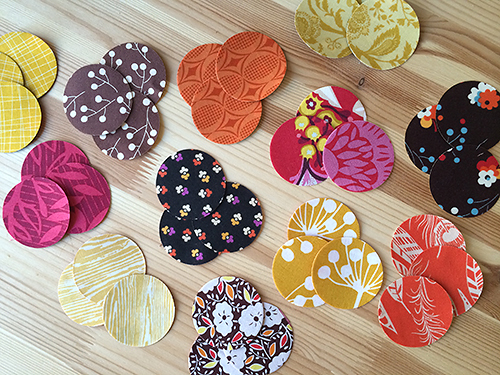 Would you like to win a copy of Sewing for All Seasons? Simply leave a comment and I will pick a winner Sunday evening, October 27th. Good luck everyone! 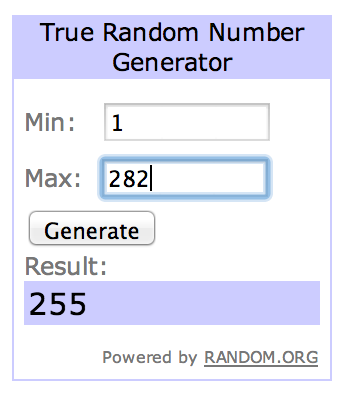 The winner is #255, heatherly! I hope you enjoy the book as much as I do!